Welcome to Eunice and Blue’s website. 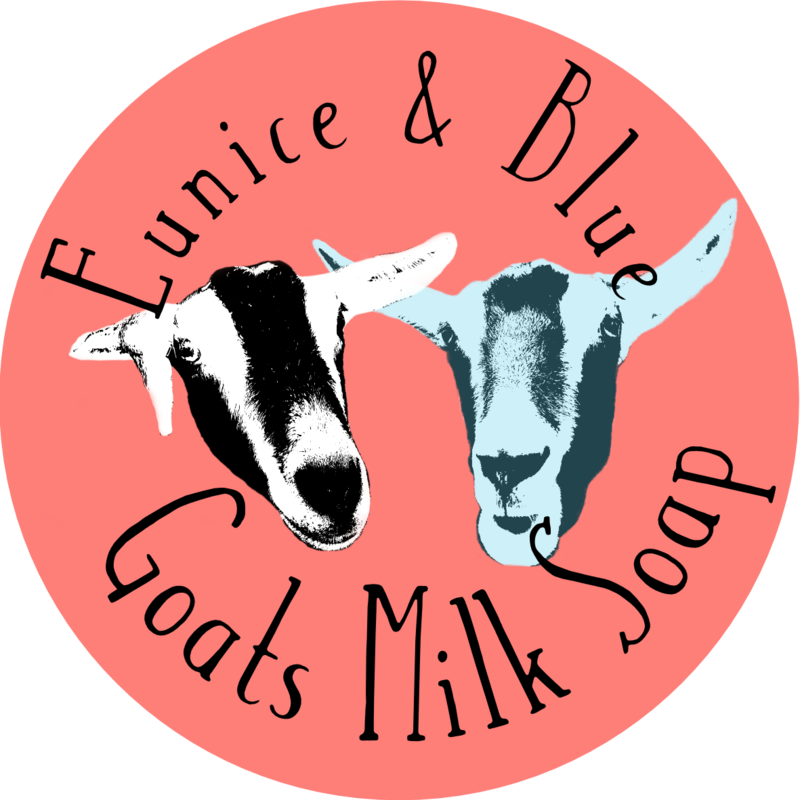 Here, we like to keep things simple: just like our creamy goat milk soap. You’ll read all about our two lovely ladies and discover what convinced us to embrace this bubbly way of life. (But because you’ve been kind enough to visit we’ll give you a hint: it’s to do with skin-friendly beauty and preserving this remarkable planet). As a vegetarian myself it was imperative that our soaps would be too. They don’t contain any palm oil, Parabens or SLS. They are beautifully creamy, fragrance free and ethical – what more could you ask for?!! Wrapped in grease proof paper and a recycled card sleeve the packaging is not only attractive but completely recyclable too. So one less plastic soap container going to landfill which has got to be a good thing too? The soap is really lovely. Great for sensitive skin and doesn’t go mushy! The soap is very luxurious, and soft and gentle to the skin. I love it and use it morning and night. I hope the venture succeeds! gorgeously creamy soap, v luxurious, I love it! Eunice and Blue are very friendly goats and have a wonderful life with Jane and her family. They go outside most days and return to their warm comfortable accommodation inside a stable each evening.